A native of St. Louis, MO, Larry Nea received his B.A. in Biology from Washington University in 1982. After developing an interest in agriculture while working at Pfizer Genetics, he attended Florida State University and received his M.S. in Biological Sciences in 1986. After a short stay at George J. Ball, Inc. in West Chicago, IL, he moved to Petoseed (later Seminis) in 1987. At Seminis, Larry worked on vegetable tissue culture and transformation in crops such as tomato, squash, cauliflower and cabbage. 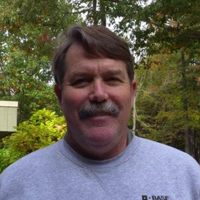 In 2001, Larry moved to Raleigh where he took a position in the Maize Transformation Group at BASF Plant Science, working on method optimization and production of transgenic plants in support of enhanced feed and fungal resistance projects. In May 2014, Larry joined the AgBiome team to initiate transformation efforts in both soybean and maize. He lives in Raleigh with his wife, Laura, two teenage sons and two very spoiled English Springer Spaniels.